The marketing industry moves quickly, making it ripe for misguided fads. Influencer marketing, for instance, is all the rage now, with brands adopting the celebrity endorsement strategy for the age of social media by contracting online personalities to help extend their company’s reach. But when reports show that 78 percent of brand marketers are worried about being able to accurately measure the return on their influencer marketing investments, you know something’s off. The problem is, many marketers are doing influencer marketing wrong. Because influencer marketing is all about performance, a hybrid model of paying a flat fee upon completion of a task plus a performance incentive — or a free product upfront and then a performance incentive at the end — works well. As with any channel, value should be measured by output, not input. You should treat your relationships with influencers as you would any other performance partnership. Influencer marketing campaigns are great for boosting brand awareness and driving conversions — unless your influencers happen to lose appeal with their audience, suddenly turn on you, or have built a fake following and scammed you into believing they held a lot of sway. How can you know for sure what kind of impact they’re having? A new marketing strategy doesn’t mean the old rules should fly out the window. To know whether your influencer investments are truly generating ROI, you have to check their performance just as you do with campaigns in other channels. However, many companies have flipped this process and pay influencers upfront instead of on delivery. If an influencer has already developed an enormous online presence, or if you have been working with one for years and he or she is producing the results you want, then paying upfront is fine. But a performance-based structure is usually the best way to gauge the effectiveness of those partnerships. While celebrities were the original brand partners, social media has democratized the influencer space. Organic partnerships emerged through social platforms when brands started paying digital personalities for mentions in their specialized verticals. This made sense: A beloved makeup vlogger holds more influence over her audience’s buying decisions than an actress they may not recognize. Nonetheless, Mary Meeker’s 2017 Internet Trends report indicated that 61 percent of social media marketers find it difficult to measure ROI. Micro-influencers, in particular — those with about 10,000 to 100,000 (with some sites saying up to 250,000) followers — tend to generate reasonable returns, as they typically charge no more than $250 for an Instagram post and under $500 for a branded blog post. Problems arise when the affiliate, influencer, partnership and PR teams are siloed from one another. Everyone working off the same information yields better data and a much clearer picture of which strategies are working. Bringing the entire marketing team under one umbrella also facilitates ongoing communication about each campaign’s progress. Rolling the management and tracking of all projects with performance elements into one system makes more sense. By incorporating traditional affiliate components, your PR, marketing, advocacy and influencer teams can access tools they need to run quality campaigns and generate substantial results. A performance partnership framework unifies all of this. Finding quality influencers can be tough. 68 percent of marketers interviewed in one study said they struggle to find relevant partners, 30 percent have trouble negotiating influencer contracts, and almost all find it incredibly difficult to track key performance indicators such as engagement, click-through rate and impressions. Traditionally, influencer networks promoted their worth based on social media statistics. But impressions and reach don’t provide much context. Increasingly, brands are wanting more detailed conversion metrics — even sales metrics, in some cases — from their influencer programs to see which micro-influencers are driving the most activity and which tactics are most effective. While not yet widespread, some companies are accomplishing this by partnering with high-value micro-influencers and managing them via an affiliate-type model. For example, one of our clients partnered with stylish fitness micro-influencers who helped drive more than 27,000 engagements for the brand. For the past 10 years, marketers measured performance according to where the last click before a conversion originated. That doesn’t work when you’re evaluating influencer performance because they are never the source of last clicks. If you focus on last-click attribution, your influencers will likely be disappointed by the results — and you’ll be disappointed in their performance. Take apparel brand Topshop, for example. The company approached sites in the fashion industry with an offer of “top up” payments in exchange for promotion. Payments were issued based on sales that could be traced back to the influencer sites’ content, even if there wasn’t a direct conversion link. Viewing the sites as vehicles for increased visibility, Topshop rewarded influencers for driving shoppers into its funnel. The performance partnership model benefits both brands and micro-influencers by allowing room for more creative logistics but is still based on hard, measurable numbers. When you see improved ROI and your influencers see no limit on what they can earn through the partnership, it creates virtuous cycles of success for both of you. 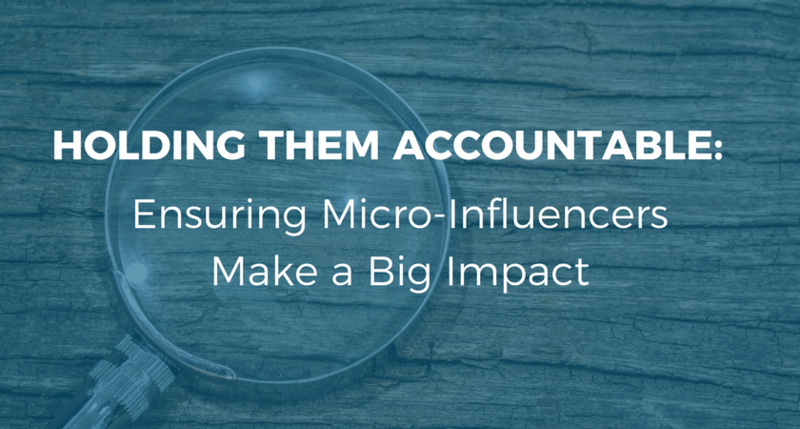 What’s more, this method of partnering with and compensating micro-influencers can be revised, refined, and repeated in countless ways to meet your goals. Robert (Bob) Glazer is the founder and managing director of Acceleration Partners, and the founder and chairman of BrandCycle. He has extensive experience in the consumer, e-commerce, retail, online marketing, and ad-tech industries, partnering with brands such as Adidas, ModCloth, Reebok, Target, Gymboree, and Warby Parker.